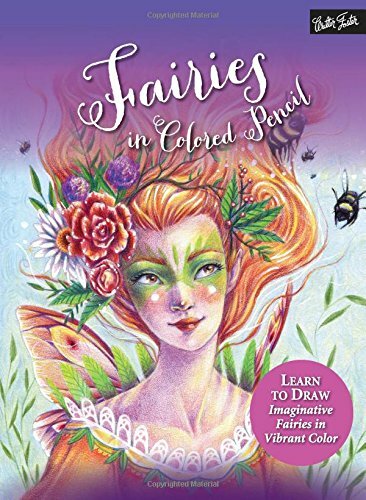 Fairies in Colored Pencil is the perfect resource for both beginning and advanced artists, inspiring detailed fairy artwork for the fantasy enthusiast in us all. Features 5 tutorials by Lindsay Archer. Artists of all ages are mesmerized by the allure and mystery of fairies. Lovers of fairy tales and fantasy often imagine what an actual fairy would look like, and the possibilities are endless. Fairies in Colored Pencil teaches artists a variety of drawing and colored pencil techniques to help bring their fantasy creations to life. After a short introduction to colored pencil techniques, Fairies in Colored Pencil provides a sketchbook of various kinds of fairies, as well as an assortment of physical characteristics, including wing types. 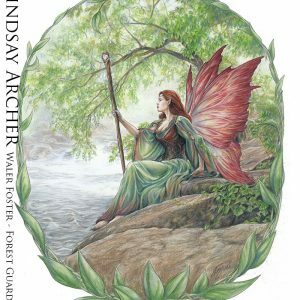 Step-by-step projects then help guide artists, first with creating individual fairies in graphite and colored pencil and then progressing to full artwork that includes fantasy settings and backgrounds. Approachable and inexpensive, colored pencil allows beginning artists to create vibrant, unique artwork and experiment with color and technique. For beginning to intermediate artists, color mixing and blending is introduced and explained, as well as shading and perspective. Additionally, artists will find templates that can be photocopied or scanned to use over and over again! 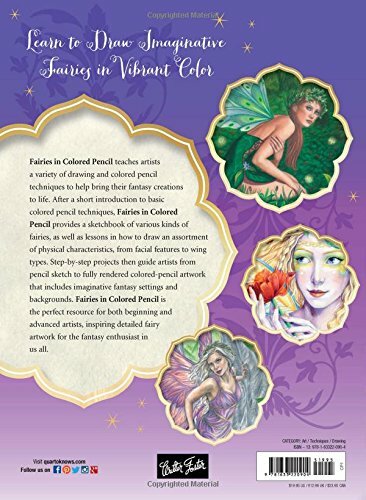 Fairies in Colored Pencil is the perfect resource for both beginning and advanced artists, inspiring detailed fairy artwork for the fantasy enthusiast in us all.